Fear. It is everywhere. We are constantly reminded of how dangerous the world is, how risky it can be and how our actions (and those of others) can quickly cause real consequences. But have we gone too far. Have we made everything TOO safe? Have we taken away freedom, reasoning skills and made reaching developmental milestones harder for our children. We know that children have physical and mental milestones that they need to meet. We are handed the charts at our doctors office or receive them in the mail. But what are we doing to help or hinder this development in our daily lives and in children’s play? As a chiropractor this is an extremely important concept. 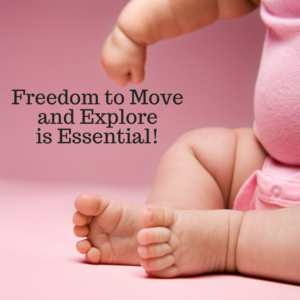 Freedom of movement, natural movement, play and discovery. It is needed for proper neurological development AND psycho/social/emotional development. The two go hand in hand. That is why we work with children and families on a regular basis to educate them on proper movement and proper handling of babies and their precious little bodies. 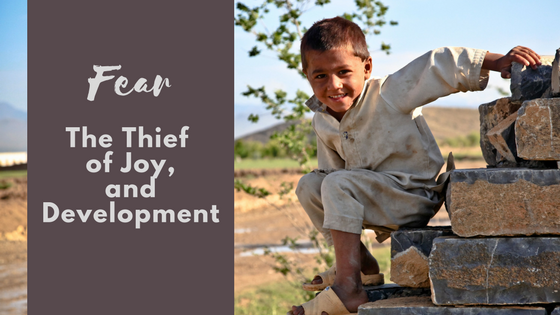 We want them to develop optimally, live healthy and THRIVE! When they don’t move correctly or are under physical, chemical or emotional stresses (and who isn’t?) it causes disruption in normal neurological development. This leads to disharmony and dis-ease and that often leads to symptoms. All kinds of symptoms. What are some things that cause these stresses in infants? Birth. Birth itself can be hard. Add on to that inductions (chemical and physical stress), c-sections (now approx. 1/3 of babies are born via c-section in the USA), medications, vacuum extractions, transverse or breech presentation in utero, chemicals in our cleaners, in our clothes (did you know that fleece children’s pajamas have flame retardant chemicals in them? ), chemicals in our makeup, food and cleaners, separation anxiety from separation of mother or father and baby, and on and on. My hope is that we can dispel some fears, create some trust and help our children to return to the heath and vitality that they deserve. Please contact us so we can help you on your health and wellness journey because there IS a difference between living, and living well.